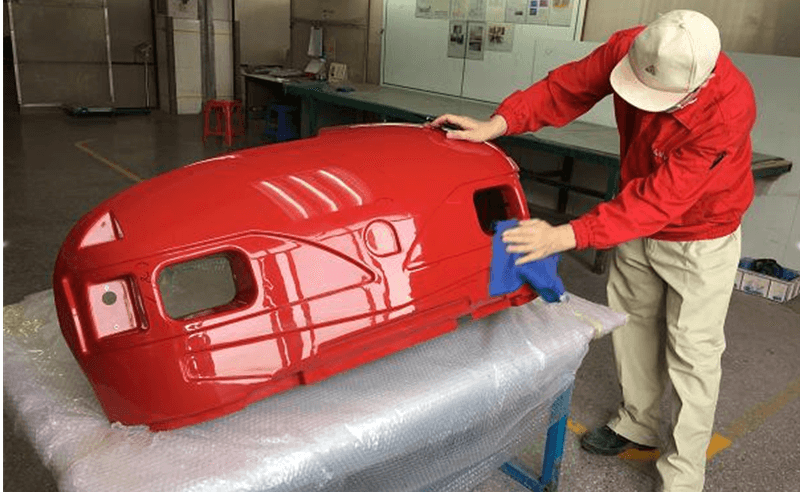 In the aspect of the uses of FRP on cars, we FRP manufacturers not only devote ourselves on making fiberglass fenders, fiberglass bumpers of automobile, but also fiberglass hood and FRP cover of machinery for agricultural purpose. 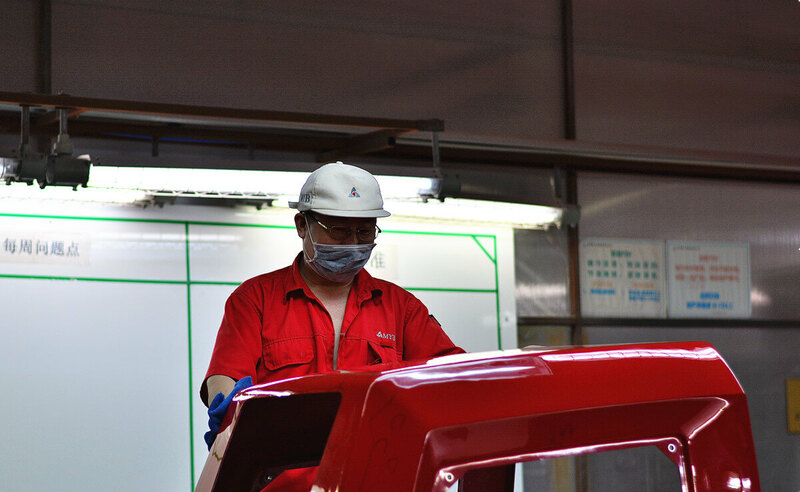 We adopt the process of glass fiber composite material, which has made the special quality of the fiberglass hood and FRP cover of agricultural machinery. The fiberglass characteristics include the following four aspects. Firstly, it makes the fiberglass hoods a good overall effect. By using the whole shaped technology, the FRP molding of fiberglass hoods and FRP cover become fluent, and their appearance are upscale and beautiful. What’s more, there is no crack of the composite GRP, which makes them waterproof. Secondly, after the accurate fiberglass strength calculation, we choose a kind of high strength fiberglass. Its fiberglass yield strength and FRP tensile strength are higher than ordinary steels, which make it have good impact resistance. It is easy to repair after a major trauma and only needs pretty low FRP cost. Thirdly, the weight of FRP GRP products is over 40% less than that of steel products. As we all know, the self-gravity of the machine will greatly affect the amount of oil it consumes. 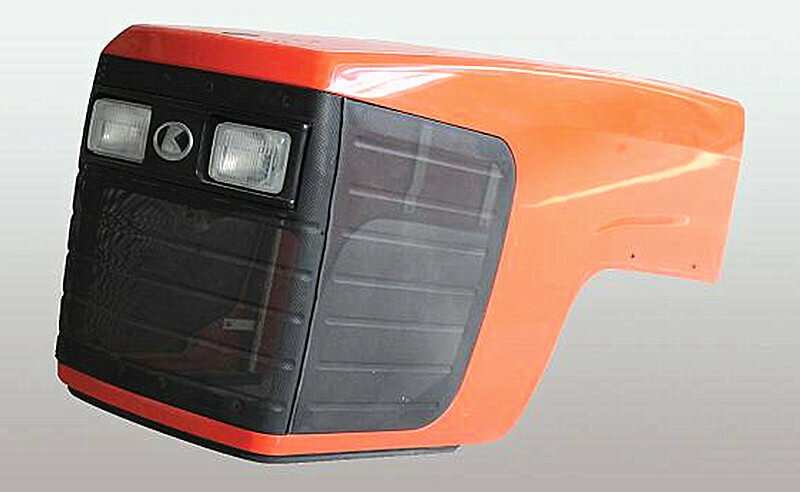 Therefore, using FRP material can reduce the oil consumption of agricultural machinery. At the same time, increasing the amount of load and reducing the cost. Fourthly, it’s clean and environmentally friendly. Glass fibre material has many good properties of rust resistance and aging resistance(Its service life is about 10-15 years.) What’s more, they also have good performance under the temperature of -40℃to +110℃.